Storm commercials ltd - Visit us for a test drive - Call us on 441226444524 or click here to find out more. 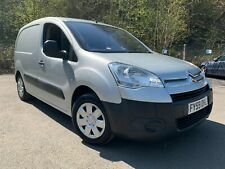 2009 59 CITROEN BERLINGO LX 1.6HDI 75 VAN, RARE LTD EDT 90th EDITION, NO VAT!! NICK RECOVERY LTD - Call us on 441923927530 or click here to find out more. 2007 Vauxhall Vivaro 2.5 Dci 6 Speed Automatic gearbox. Long MOT Passed with no Advisories. Bodywork in good condition couple of scratches and dents. Done only 92 000 miles. The interior in Mint condition all the seats are perfect. Marsh cars - Visit us for a test drive debit and credit cards accepted - Call us on 441206879755 or click here to find out more. Vauxhall Vivaro 1.9 cdti 5 seater crew van LWB covered 165k just had full service cam belt and 12 month mot Runs and drives perfect bodywork has a few dents and scrapes etc Ready for work For further information or to arrange a viewing call Paul on 07800525441. 6 MONTHS WARRANTY PROVIDED WITH EVERY VEHICLE! VAN IS READY FOR WORK. CLEAN GOOD RUNNING VAN. 97,000 Miles. UK DELIVERY AVAILABLE! NO VAT TO PAY! PART EX WELCOME! DW Commercials - Call us on 441274028170 or click here to find out more. Staffords Autos - Call us on 441164646099 or click here to find out more. 2008 Nissan Primastar 2.0 Dci 6 Speed gearbox. Done 89000 miles. Passed a 12 Months Mot. Bodywork in good condition couple of scratches and dents. The interior in Mint condition all the seats are perfect. 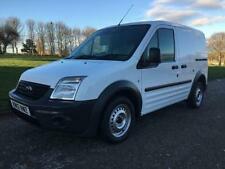 Nissan NV200 1.5dCi 12months mot ready for work! m&d car sales - Visit us for a test drive - Call us on 441253542251 or click here to find out more. 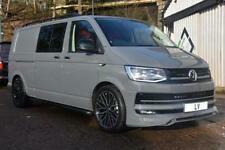 For sale is this lovely Vauxhall vivaro sportive. Iv never used it myself. 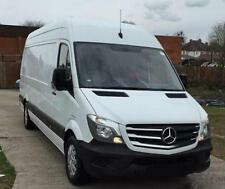 Like I say I have been happy with the van since iv owned it. It has many many more miles of use to who ever buys it. The receipt I have shows an engine swap in 2015. Viewing & Test drive available. Long Wheel Base. Excellent condition. NO Reserve. Few Dents & scratches, See picture for more details. Bad Bits:-. V5 present. 125bhp duratorque engine with manual gearbox. Regularly serviced with a new MOT and at its last included new drive belts, pulley and tensioner. Clutch/engine/gearbox are perfect. 2008 Citroen Relay SWB 100hp. Since then it has had the following done to get it ready for converting to camper. The mirror adjusting knob needs replacing as it seems to have a mind of its own when adjusting the mirrors. HAMWORTHY CAR SALES - Visit us for a test drive - Call us on 441202087650 or click here to find out more. 2018 Vauxhall Vivaro Limited Edition. 8300 miles.